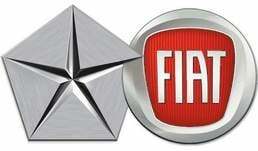 CEO Sergio Marchionne disclosed plans for Fiat's 1.4-liter “fully integrated robotized engine,” or FIRE. The engine first will be used to power the Fiat 500 minicar to be made in Mexico for sale in select Chrysler showrooms in the United States late next year. Chrysler is exploring other applications for the engine, and a 175 hp turbocharged version is planned. The basic engine delivers 100 hp. The engine features Fiat's multiair technology, designed to reduce emissions while improving performance and fuel economy.